Having one of the most diverse fleets in the region, our team of highly experienced and dedicated charter specialists is available 24 hours a day, 7 days a week. We guarantee an impeccable quality of service, strict confidentiality, with high levels of safety and security at all times. Safety is our priority. 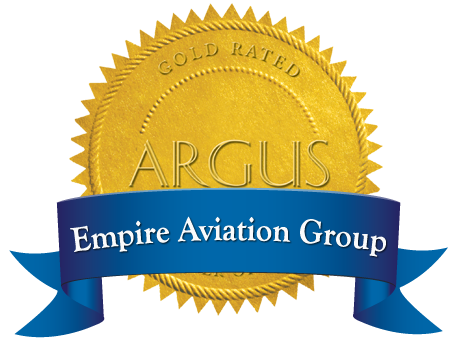 All aircraft operated by Empire Aviation Group meet the extensive safety, training, and inspection requirements required by the GCAA (General Civil Aviation Authority U.A.E.). With one of the region's largest and most diverse fleet, we provide our customers a selection of aircraft types to complement any business or leisure charter requirement. Experience first class on board service from our "silver service" trained cabin crew and enjoy the freedom of private air travel with Empire Aviation Group. All of our cockpit and cabin crew members are required to go through several re-training sessions each year. This stringent requirement ensures that all our crews are fully up-to-date on the aircraft they fly, so that our customers can feel safe, confident and at ease when flying on-board our aircraft. All fields with (*) asterisk are mandatory. Through our partners at RMSI (Remote Medical Services International) we offer a portfolio of diverse medical flight services, ranging from patient relocation to delivering life-saving donor organs to patients thousands of miles away. We also provide patient repatriation for those who have become injured or ill while away from home and require medical flight services. We have access to operators worldwide with over 4,000 world-class executive aircraft, providing you with the ultimate freedom of choice anywhere and at anytime. We will find you the perfect solution for any of your private jet charter needs. We can provide you with a wide variety aircraft, from light jets for just a few corporate or leisure customers to an airline category that can accommodate larger groups. Our primary focus is on safety, we ensure that every supplier we work with undergoes and completes our approved operator status. This status verifies that the operator has all the necessary maintenance, insurance and licensing approvals for us to sub-charter their aircraft.